Contests are relatively easy to find. The official contests are strongly advertised, and many Gamestar Mechanic users make contests of their own. As you become more experienced, you may also consider creating a contest of your own. You can find contests sponsored by Gamestar Mechanic in the Challenges & Contests section, which you can find by scrolling down in your workshop until you reach a group of eight large challenge icons and titles. Click on an element in this group to identify the type of challenge or contest it is. If it’s a contest, the contest page should look like this. Note that the front page of the Challenges & Contests section sometimes contains only challenges, if no active contests are available. Challenges aren’t usually judged; they often simply require you to play games rather than design them — though they can be useful for unlocking new sprites and features and for trying out new techniques. 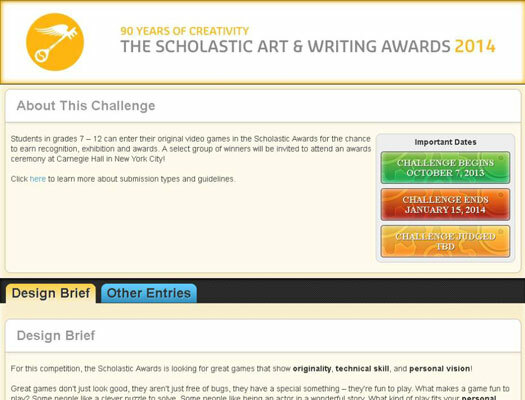 About This Challenge: This section of the page presents an overview of how the competition works. If you see the initials TBD (indicating to be determined) rather than a date, the date isn’t available yet. Design Brief: This tab displays detailed information about the contest, such as a description, guidelines, recommendations, and information about how the contest is organized. Check the design brief again before submitting your entry to see whether you should do anything else to enter the contest. Contests are often run by way of Gamestar Mechanic from other websites, which have different requirements for entry. Build a New Game Template: Usually, you see this button on the page, which opens a special version of the toolbox, where you can design your game. If you click the Save button on a template, your draft appears on the Create an Entry tab for you to work on later. Choose a Game from My Workshop: Depending on the restrictions of the contest, you may see this button as well; click it to see a list of your published games, and select a game to submit to the contest. Challenge Missions: This tab is available only in certain contests. It lets you see specifically made missions that teach the values expected by the contest. Try to complete these missions whenever they’re available. Other Entries: After the judging is complete, this tab provides links to winning entries, which you can click on to play those games. If you’ve entered the contest, a link to your entry is also provided. Some game design contests are created by Gamestar Mechanic users and published on the site in the form of games. These are not official contests; they’re organized for fun by Gamestar Mechanic users who set the rules and decide the winners. 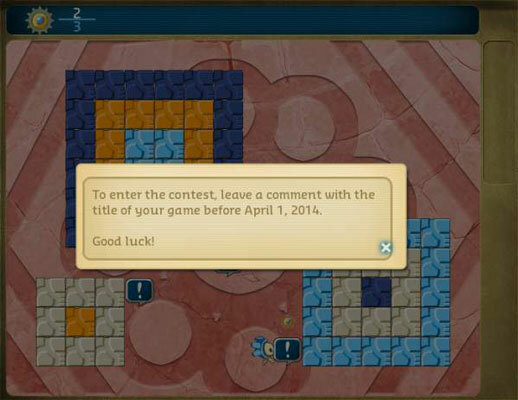 Users do this by publishing the rules and results through games, which contain message blocks outlining the details of the contest. These contests often require entrants to submit their games by recommending them or by posting the name of their submitted game in the Comments section. The contest host decides how to judge and select winners, and usually publishes the results by creating or editing a game to display them. User-created contests are beneficial for both the host and the participants. When you submit your game, the contest’s judges are sure to play it, and they often leave reviews. Whether you win or lose, this process is a good way to advertise your games. The best way to find these contests is to search for games using the keyword contest or competition in Game Alley. By looking through the search results, you can find a number of contests to enter at once and reap both short-term and long-term rewards: Simply entering can get people to play and possibly review your game, and users often check out your workshop if you have a winning entry. And some contests even allow you to reuse a game you’ve already published. All it takes is a review or a comment to get started: Comment on the contest game to let the contest manager know that your entry is ready (and follow any special instructions set by the designer). When you search for contests in Game Alley, the results are sorted from newest to oldest. Focus on the newest ones because their due dates probably haven’t passed yet.